Booking a flight soon? With endless options and fluctuating prices, flight bookings can sometimes be overwhelming. With some research and careful planning, you may be able to get a cheaper flight. Booking well ahead of time for travel in a peak period will mean avoiding the price-jump that typically takes place within two weeks of the flight departing. If you are going overseas, you’ll want to book even earlier – generally three to six months ahead of departure for the best possible deal. That being said, sometimes it pays to book late as well. Sometimes an airline will fail to fill an aircraft. You can take advantage of this but only if you book at the very last minute. You’ll have to be flexible about dates and probably even locations as well. If you like to plan things out, this option may not work for you. Flying during the middle of the week is invariably cheaper than flying on weekends. As most people are inclined to travel on weekends, airfares tend to rise substantially. The price of a ticket can vary heavily depending on the time of day and the day of the week you are planning to fly. It gets even more expensive on days close to public holidays – Christmas and New Years Eve in particular tend to see dramatic price increases, but there are plenty of other seasonal hikes as well. For example, travelling around Europe in August tends to be more expensive as it’s a peak travel season for Australians heading to Europe. Some research ahead of time may help and could prevent you getting caught out. Flying during the middle of the week is invariably cheaper than flying on weekends. As most people are inclined to travel on weekends, airfares tend to rise substantially. Early or late flights tend to be cheaper as well because there are fewer people travelling. The most important thing is to be as flexible as possible. Even a day can make all the difference and bring about a huge saving. When it comes to seat selection, flying with other people may mean that you don’t see all the seats available to you – if you’re in a group of three or four people, you won’t be shown the two cheaper flights at the back as you will most likely be grouped together. To get around this, first find out if there are enough seats available, and then attempt to book them one at a time. If there is a significant difference in price, you may be able to get yourself a bargain. It may take a few transfers, but you may be able to get to your destination for cheaper than you may think. Be flexible not just with the date but also the destination, and the route you take to get there. A direct flight can often be more expensive than taking multiple budget flights to get to the destination with stopovers along the way. This is especially true in Europe – in some instances it can be cheaper to fly to London first and then travel elsewhere from there rather than flying directly to your destination. By working with various airlines and the special offers that they have on hand, you can make quite a tidy saving. Make sure to check different routes, different airlines, and balance your time; it goes without saying that pursuing this option will increase your travel time as a result. But if the saving is worth it, it may be hard to turn down. The easiest way to find cheap flights is to make use of a comparison website to find the best airfare for your destination(s). Webjet, Skyscanner and Expedia are three such sites, but they are not equal. Some of these, like Expedia, are owned by airline companies themselves and they won’t necessarily offer unbiased fares as a result. Try using as many search websites as you can, comparing between each of them so you can make sure you cover all the gaps and find the cheapest flight. Also look for which website has the lowest administration or booking fees as these can sometimes be more expensive than others. To make this easier, you may want to set up email alerts. It can be time-consuming, but if you sign up for fare alerts you’ll be notified when a price goes down. Each time you close all of your private browsing pages, the cookies are reset. If you want a clean slate for each search, be sure to close all your windows and start again each time, or clear your cookies in the website settings. Whilst searching for flights, make sure you activate incognito or private browsing on your web browser beforehand. The reason? Websites you visit often store cookies on your browser. These cookies report back to the website that you are searching for the same flights, thereby increasing the prices of your searched flights, and may be leading you into thinking that you need to book quickly or miss out. You’ll find that most major cities have secondary airports, and it is to these that most of the budget airlines fly to. Using these airports lower costs further due to cheaper landing fees, and so it pays to keep an eye out for such things. 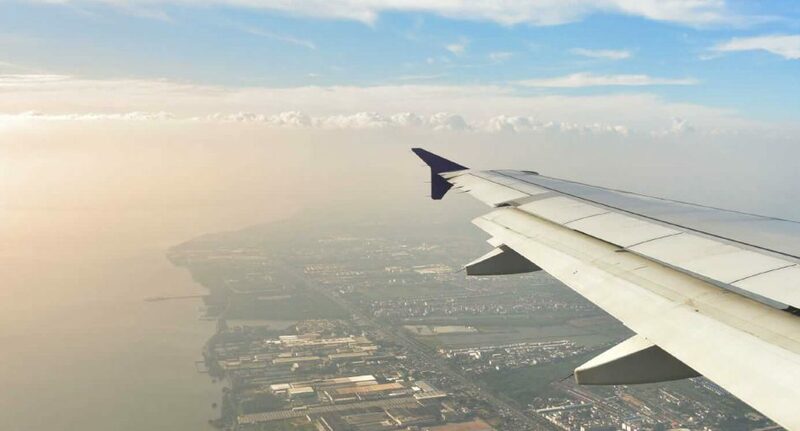 This is something you can also take advantage of more readily if you are booking connecting flights – in combination this may make the flight substantially cheaper. There are fewer perks when flying with a budget airline, so keep that in mind. You will have to forgo most of the benefits of the major airlines, and baggage may incur extra costs. You may also find yourself quite a distance away from the airport as well. If the cost of the transportation from the airport offsets the savings made on the airfare, it probably won’t be worth it in the end. Generally speaking, however, it is possible to score a very good deal. It doesn’t take long to sign up and be a ‘frequent flyer’, and the rewards can pay for themselves very quickly. Make sure you use them! It’s easy enough to accrue points, but not so easy to remember to use them when you need to so keep an eye on them as they build up. It never hurts to get friendly with the airline you are choosing to fly with. Airline rewards programs are a fantastic to way get free flights, upgrades and extra tickets. Regardless of how often you fly, it pays to sign up to different airlines that you like to fly with. Some of them are even partnered with other airlines, making it easier to get points. There are always hidden things to keep an eye out for. Always be aware of extra charges such as paying for your chosen seat, checking in your bags and the cost of meals on board. Come prepared wherever possible, and be aware of these tactics that can very, very quickly chew up any saving you’ve made by booking a cheap fare. With that said, don’t go too far. There are things that should always be taken with you – travel insurance should never be something you skimp out on. If you get to your location without luggage, all the savings in the world won’t make up for the hassle alone. The day after you’ve booked your flight, check online to see if the flight has become cheaper. If it has, you may be able to get the airline to discount the difference for you. Keep an eye on the price of the flight the closer you get to the departure date. So, when you start planning your next holiday, keep these handy tips front of mind and you may get yourself a great deal on airfares. Remember that the less you need to spend on the ticket, the more you’ll have to spend while you’re away – and who doesn’t want that? Happy Flying from Budget Direct!